New Delhi: India’s second largest software and services firm Infosys Technologies Ltd’s chief mentor N.R. 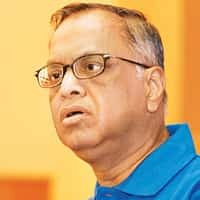 Narayana Murthy and venture capitalist Gururaj Deshpande have committed $600,000 (Rs2.4 crore) of their own money to hone the entrepreneurship skills of engineering students across India. The money will be spent on getting professors from top universities in the US to take courses in non-IIT engineering colleges, in drafting effective business proposals and helping them network with leading venture capitalists in the US. The many campuses of the Indian Institutes of Technology (IITs) are India’s elite engineering schools, but the bulk of Indian engineers graduate from other schools. In the US, strong links between universities and industry have spawned the incubation culture, where graduate students are encouraged to establish their own start-up companies. “A major aim is to make engineering education in India more relevant to industry, and that includes re-looking the course content," said Arabinda Mitra, executive director of the Indo-US Science and Technology Forum, an inter-governmental partnership and one of the sponsors of ­Iucee. Deshpande, who is also Murthy’s brother-in-law and is based out of Massachusetts, confirmed his contribution in an email. “Anything we can do to raise the education standards in India is the best contribution one can make to that country," he wrote. “We are pleased to be a part of a small effort to connect the engineering educators in the US to the engineering faculty in India, and hope the faculty in engineering colleges in India will take full advantage of this opportunity and we can scale this programme rapidly to make a real difference." Emails to Murthy’s office as well as telephone calls to him were not returned. While courses in entrepreneurship are part of the curriculum at the IITs, the majority of the more than 1,475 engineering colleges in India rarely have access to such facilities. “In terms of the number of engineering graduates we have, we are comparable to China and overtake the US, but unfortunately, most of them aren’t tuned towards research nor requirements of the industry. And that’s a big problem," said Sujit Bhattacharya, a professor of science policy at New Delhi’s Jawaharlal Nehru University, who has authored a series of research papers comparing the scientific output of India and China. IIT Delhi was the first college in India to provide incubation facilities for its alumni in 2000 and today supports seven companies within its campus. “The motive is to help students test the waters," said Anil Wali, managing director, Foundation for Innovation and Technology Transfer, IIT Delhi, “and help them develop prototypes of their products." But courses for students in entrepreneurship building and interaction with industry was “a regular affair at IIT Delhi", Wali added. However, improving engineering education in India also means enhancing the quality of teachers, Mitra emphasized. “While this fund is just a small step, we are trying to get even the professors in our engineering colleges to re-look the course material in engineering subjects and become more focused to the needs of industry." Iucee, in August, convened a meeting that included representatives from the All India Council for Technical Education; T. Ramasami, secretary, department of science and technology; and Infosys CEO Kris Gopalakrishnan. Low teaching standards are one of the biggest drawbacks of engineering education in India. In Tamil Nadu, 150 engineering colleges (out of 274) had a failure rate of 65%, (which means 65% of the students failed), says a report by Rama Rao, professor of electrical engineering at the University of Hyderabad. Industry body Nasscom says less than one in four of India’s engineering graduates are employable—a direct result, critics say, of the lack of qualified teachers in India’s colleges. “We are getting a badly educated and badly trained workforce," said T.V. Mohandas Pai, the human resource director for Infosys, and added almost all of the company’s new hires go through a 16-week educational course that costs the company about $5,000. Most of that time is spent teaching fundamentals that the students should have learnt in college, Pai added.